Current observations for British Columbia weather can be found by clicking the locations at the top of this page. 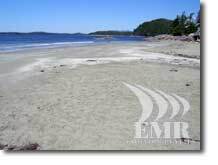 We have provided information for Victoria BC weather, Vancouver BC weather, Vancouver Island BC weather, Tofino BC weather and Whistler BC weather. British Columbia has a very wide range of temperatures and climates. From the near-desert conditions of the southern interior to the moist rainforests of the coast. From the tundra of the north to the glaciers of the Rocky Mountains, there is every kind of climate to be found in BC. As we have weighed many factors in choosing the very best locations in British Columbia, to provide you with an excellent :sms service, we have also taken into account the weather. Victoria, Vancouver, Vancouver Island, and Tofino, British Columbia> have moderate climates, rarely climbing above 30 C / 85 F in the summer and rarely dropping below 0 C / 32 F in winter. Victoria, British Columbia; Vancouver, British Columbia; Vancouver Island, British Columbia; and Tofino, British Columbia, all have the ocean to thank for their moderate temperatures. While the rest of Southern Canada is sweltering in unbearable heat and humidity in the summer and frigid cold temperatures in the winter, Victoria, BC, Vancouver, BC, Vancouver Island, BC and Tofino, BC, enjoy spring-like conditions through the whole winter. In Tofino, be sure to visit in winter to experience some of the exciting storm watching to be experienced, as the weather systems come inland from the open Pacific Ocean causing massive waves and beautiful cloud formations. It is also an excellent time to surf here on the west coast. For Whistler BC, the winter brings snow, snow and more snow. 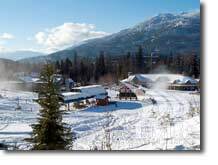 Whistler British Columbia is the best skiing destination in Canada and should be experienced more than once. How else can you expect to ride or ski all of the 200 + runs available. If you would like to know what kind of weather you can expect for a particular location in British Columbia, Environment Canada has a web site that can provide you with those answers. Here are the Canadian Climate Normals or Averages for 1971-2000.